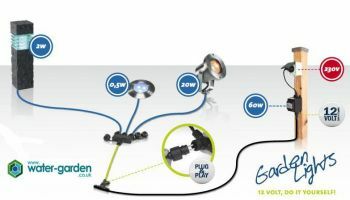 This 10 metre long, low voltage (12 volt) extension cable with 4 connectors is designed for use with Water Garden's range of Plug & Play garden and pond lights and lighting accessories. 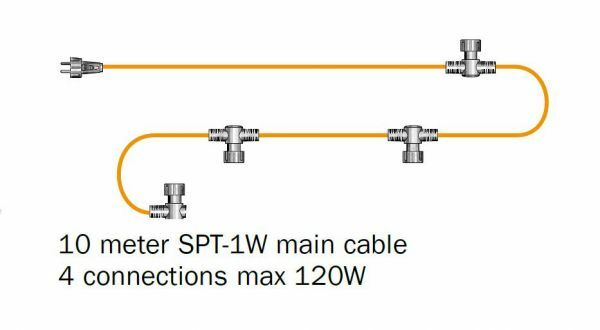 The low voltage cable features 4 weatherproof screw connectors (1st connector 4m from the cable start, with 3 remaining connectors spaced every 2m along the cable). 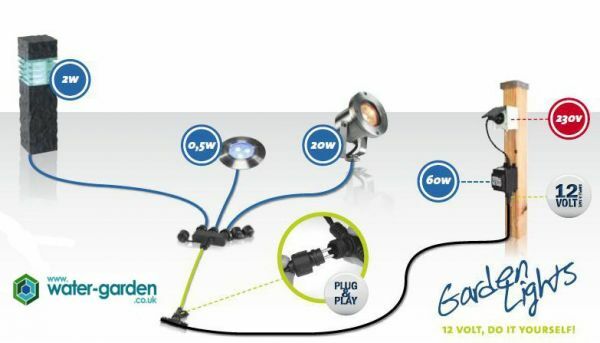 The 12v cable allows the user to connect the extension cable directly to the 12 volt outdoor lighting transformer or any of the accessories such as lighting timers, remote controls, cable splitters and our wide range of low voltage pond and garden spotlights. The cable will allow connection of up to 120 watts of lighting on the total circuit.